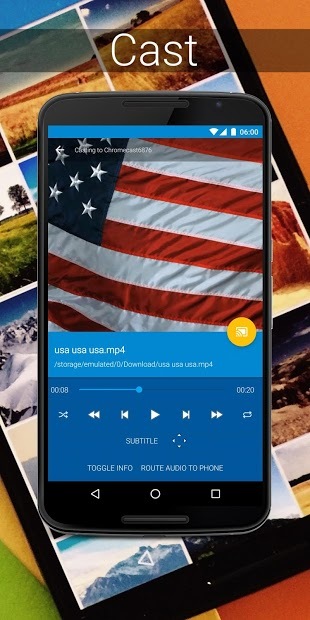 One of the best free alternative to reproduce multimedia files from your Android on your TV with Chromecast. 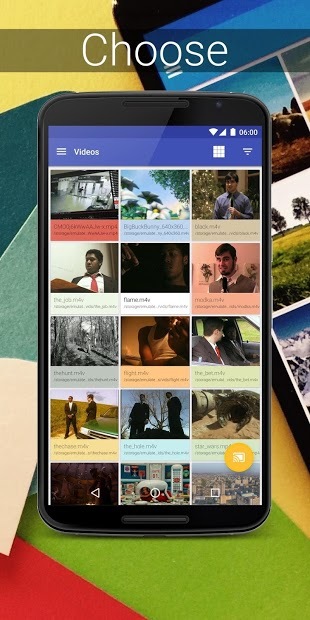 Localcast allows you to reproduce whatever you have on your mobile phone or Android device and what you have in Google Drive, Dropbox, Google+ to Chromecast, multiple platforms or other DLNA Devices. 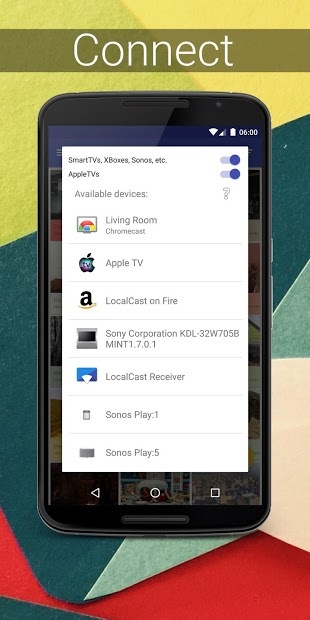 Note: Please be aware that the Chromecast only supports a couple of formats. It can read containers like mp4, mkv, 3gp and m4v, but all these containers can use different codecs. If you can’t hear the audio of a video, then the audio codec is not supported. If you can’t see the video but hear the audio, then the video codec is not supported.